As we like to say at Hairafter salon, individuality is far too colourful to lock into just one look. And that’s why our suggestions for fall are all about experimenting with fun new colours and using old colours in exciting new ways. Fall is the season of changing leaves, and that makes it the perfect time to change up your hair colour. Sure, you’ve seen the silvery grey hair trend. It’s a bold look that certainly makes a statement. But you can make the look even more wearable by getting grombre colouring, which is grey ombre. Grombre starts darker at the top of the head and transitions to a pale gray at the ends, giving an unnaturally beautiful aesthetic. This colour choice is for those who like to be seen. It is an uber warm shade of hair colour that does not pretend to be a natural shade. The intense orange is surprisingly versatile and flatters a variety of skin tones. You’re familiar with the smoky eye. Now you can colour your hair to match. Several smoky hair shades are finding their way into hair salons in Toronto this fall, and they work especially well with medium-coloured to dark hair. Smokey lilac is a mysterious shade that starts as a greyish purple and fades into pale, almost foggy lavender. It manages to be bold and toned down at the same time. A variation on smoky lilac that offers more intense colour is smoky violet hair. 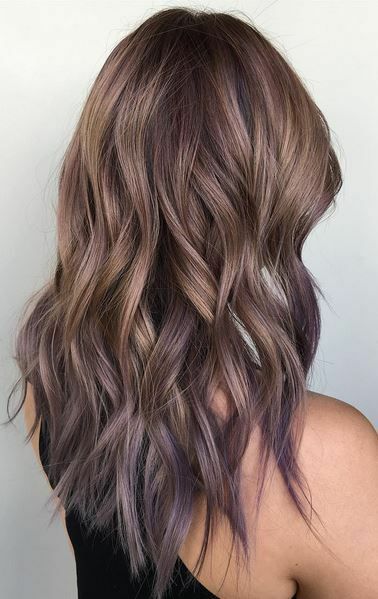 This look is achieved by having your stylist use several different cool purple tones, making your hair colour appear to change as it moves and reflects different lighting. Visit Toronto’s best hair salon to try out one of these unexpected colours and change up your look for fall.